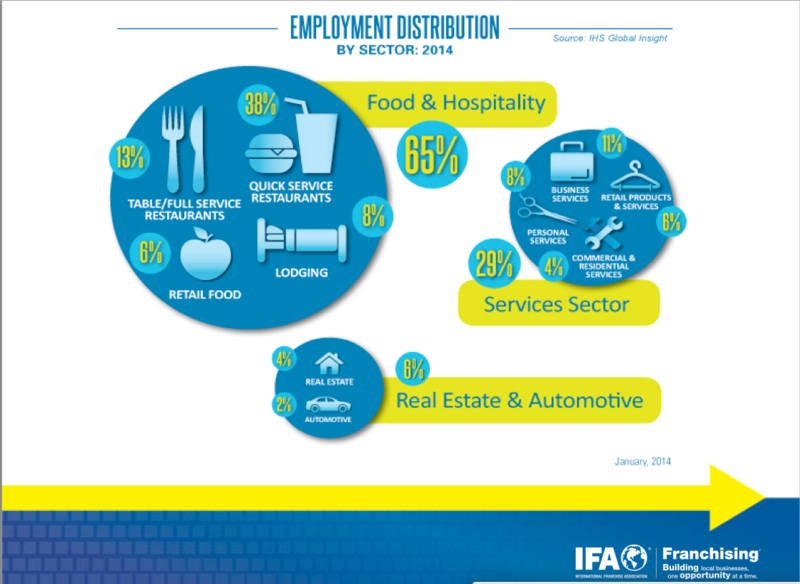 Over the past three years it’s become an annual event for the Capital Area Franchise Association – CAFA to have Stephen Caldeira, President of the International Franchise Association – IFA get the new year started with his franchising outlook. Until this year when unfortunately Steve was unable to make for CAFA’s January 2014 lunch & learn event. No worries however Steve made Scott Lehr Vice President U.S. & International Development at the IFA available to take his place. I have known Scott for as long as I have been in franchising and we were pleased to have him stand in for Steve. Well our unprecedented winter weather put the kibosh on CAFA’s January meeting at the very last minute. We had to reschedule. And when we did I received an email that Steve could speak at our March event. For those of you who haven’t made it to a CAFA event attendees begin arriving around 11:30 AM or so to sign in, get their badges, talk with each other until the lunch service begins. Our featured speakers and panelists session begins at 1:00 PM, ends promptly at 2:00 PM and there’s post meeting networking as well. One of the pleasures of being President of CAFA is every year I get to have Steve at my table for lunch every January and of course this year in March. Which is great and I look forward to it each year. Now something I learned about Steve 3 years ago was that when he speaks at a luncheon like CAFA as part of his game plan he forgoes lunch and pays all of his attention on his table mates. This year was no exception. And one of the things he shared with me was how much he enjoys the CAFA meetings each year. There’s one additional benefit to sitting with Steve, the table gets an extra dessert to share. Both Steve and I in our careers have worked for large QSR franchise systems and we compared notes on franchisee and franchisor relations and in particular working with franchisees to resolve troubled situations. Our experiences paralleled in that it was always more desirable to exhaust all efforts to work things out with franchise owners whenever possible. Franchising and the IFA is fortunate to have a leader like Steve who has hands on franchise experience and is so genuinely relatable and engaging. 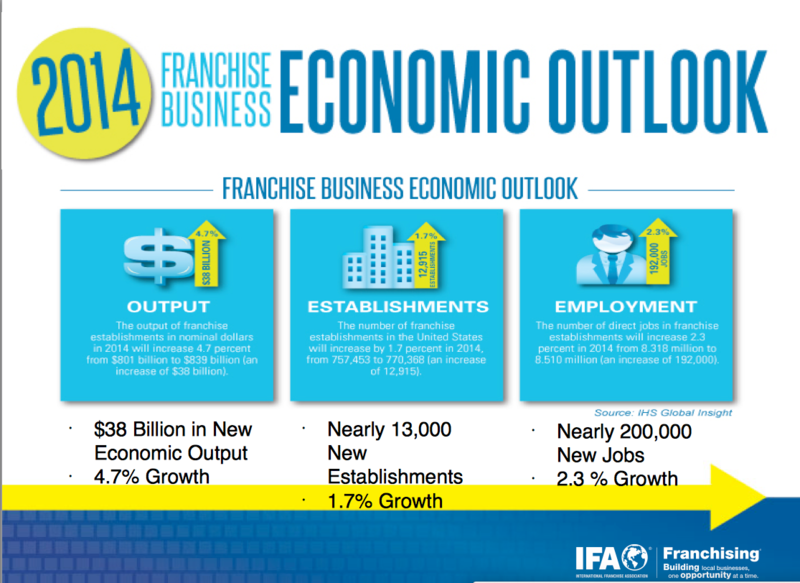 In Steve’s presentation it was reinforced how vital franchising is to the US economy and livelihoods of so many people. 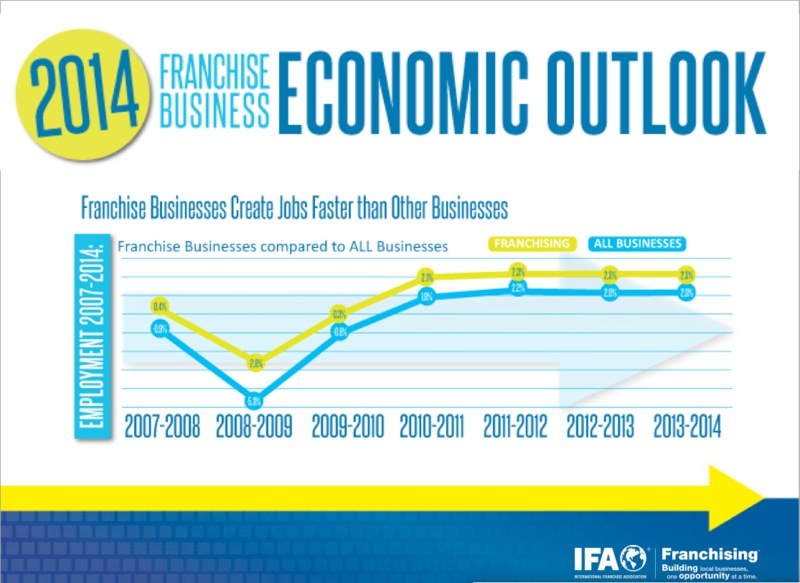 Here are some select slides that do a great job of showing the importance to and impact of franchising.